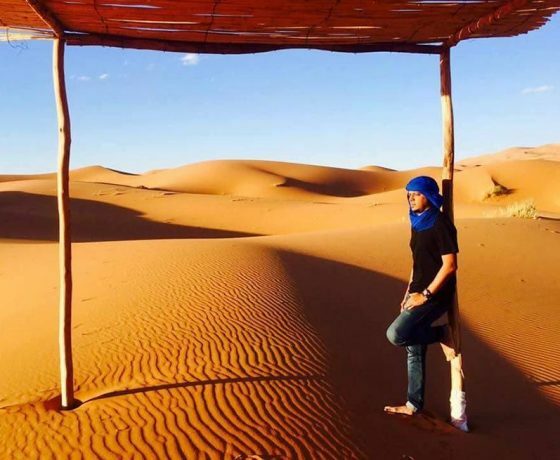 Experiences 4 days Marrakech to Merzouga. You will be picked up from your hotel in Marrakech around 08.00 am for a 08.15 am departure. The private tours will take place using a modern, air-conditioned minibus or a 4 x 4 vehicle. Our first day is spent visiting the World Heritage site of the six Kasbahs at Ait Ben Haddou, we then take in the film set sights of Ouarzazate. From here, we take a road through the Draa Valley and end up in Zagora at some point during the late afternoon. 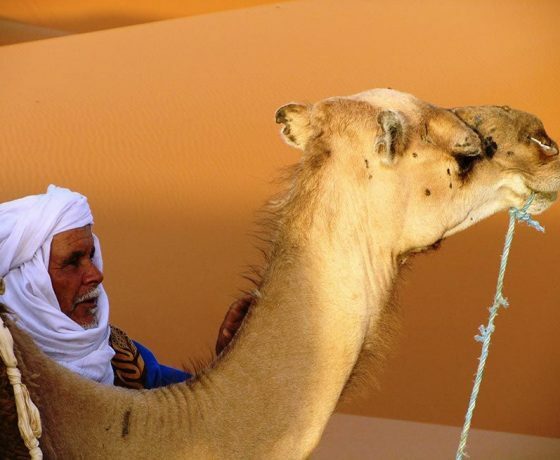 The first day’s highlight is yet to come as we take a 90-minute camel ride to our overnight desert stay within a Berber camp. 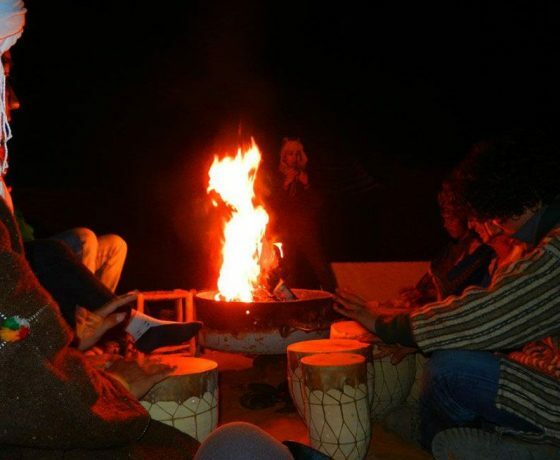 Here, one can enjoy the sunset, sit around a bonfire and grab an opportunity to sleep in a Berber tent or underneath the stars. The second day begins with a traditional nomad breakfast and a chance to admire the sunrise. Then it’s back on the camels for our ride back to Zagora. We then drive south east across the Anti Atlas mountains. 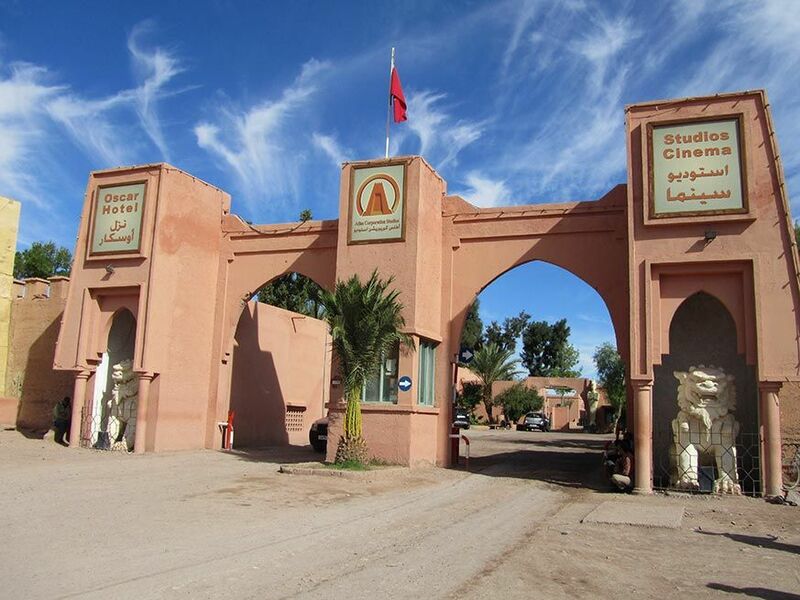 Will stop for lunch at Alnif oisis along the way to Merzouga. This is the town we head for next, and at this point there will be another chance to ride camels and sleep under the stars in the desert at a Berber camp. 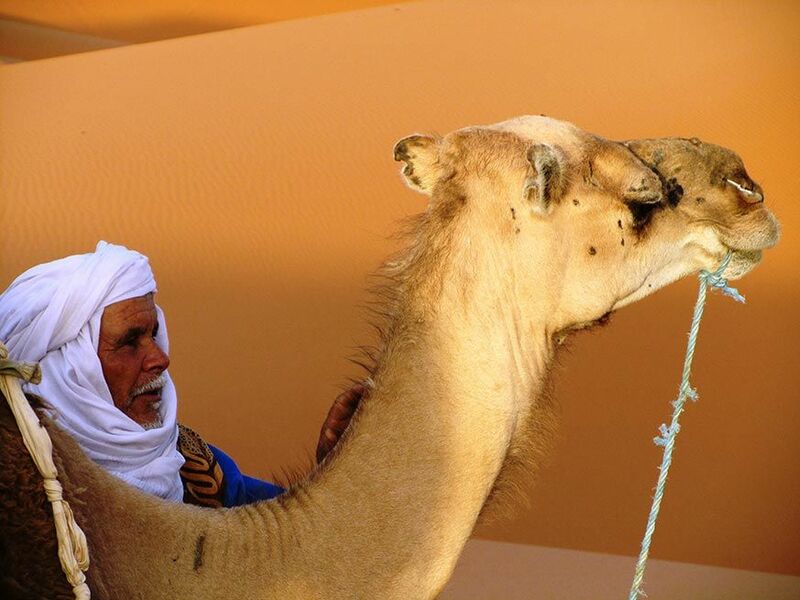 Day two involves a camel trek across the Dunes of Erg Chebbi, on the outskirts of Merzouga. The dunes at sunrise and sunset are quite amazing. 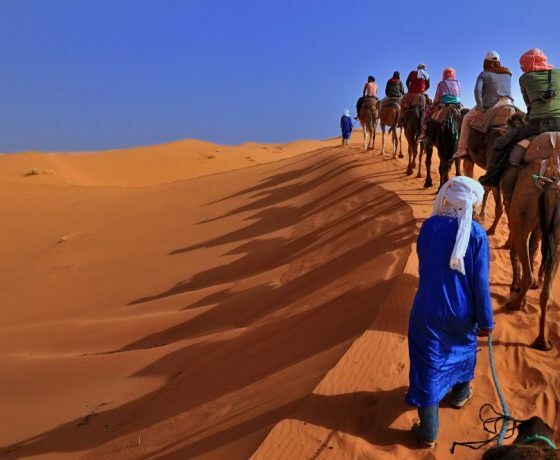 These wind-swept sands form a sea of undulating sandy hills where the only sights to see are camel caravans gracefully and effortlessly negotiating the soft sandy hills. You will enjoy another evening meal and a chance to sleep under the stars. Today is the day when we take in the sights of the stunning Todra Gorge where you can enjoy a walk around Todgha canyons and have lunch. Following a hearty lunch we shall proceed to Dades Valley. Some of the winding roads, steep golden cliffs and beautiful river deltas are extremely photogenic. Our adventure then takes in more of the Valley of the roses to Kalaa Megouna, this rose village is most known for the « Rose Festival », you will have chance to visit a local women cooperative making rose water perfume. 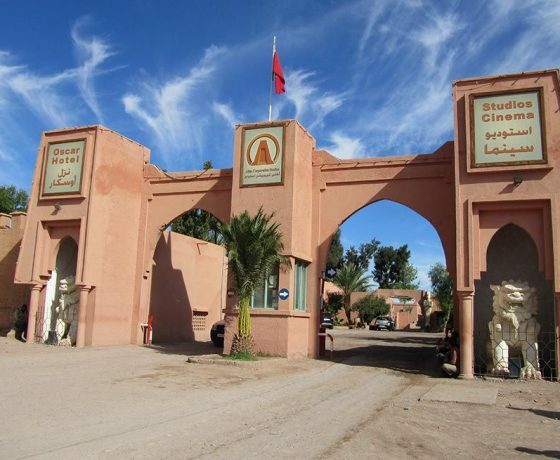 We continue through Skoura oisis, one of beautiful palm grove oisis, before we stop for lunch in Ouarzazate the Gateway to the Desert . Then we continue over the stunning mountains of the Atlas. The final leg of your journey will take you back to your Marrakech hotel or Riad, where you can expect to be back between 7.00 or 8.00 pm. 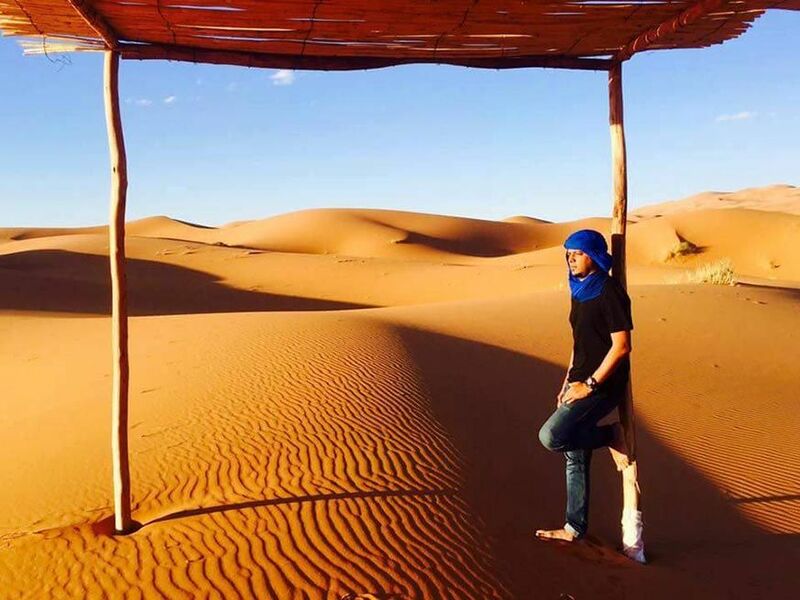 The entire three-night experience in this desert tour involves two of the nights spent sleeping out in a Berber camp. 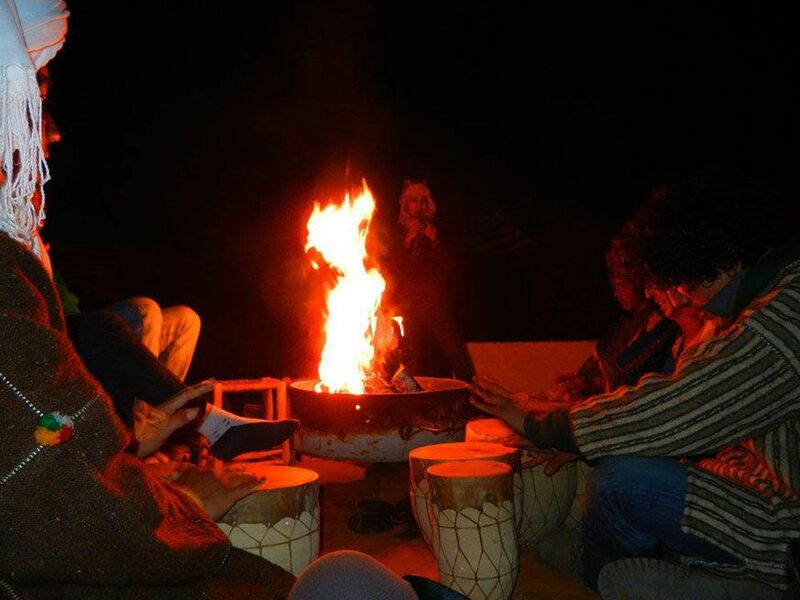 The experience is fascinating with many stories of the desert told by the nomads, hundreds of visible stars to witness in the jet black night sky and the gentle beat of the Moroccan drums to help campers drift off to a good night’s sleep under the canopy of a Saharan night. 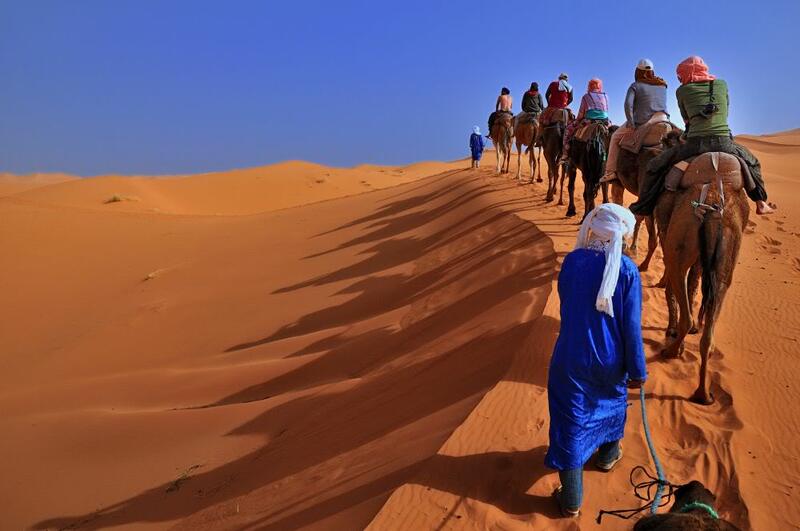 Riding the camels is usually takes place in the times of sunrise or sunset, so you won’t expect to travel in heat of the late afternoon. The lunch stops at various cafes on the tour are not included in the price, so bring along some cash for extra spending, tips or drinks.